On Wednesday, Cell Signaling Technology, Inc. announced that the United States Patent and Trademark Office has issued a Notice of Allowance for its application entitled "Immunoaffinity Isolation of Modified Peptides from Complex Mixtures." A search of Public PAIR indicates that U.S. Application No. 10/175,486 will issue as Patent No. 7,198,896. The '896 patent will be the fourth U.S. patent to be awarded to the Danvers, Massachusetts-based biotech company. According to the statement released by Cell Signaling Technology, the allowed claims "cover the selective isolation of a target population of post-translationally modified peptides from a complex mixture of peptides by using immobilized modification-specific antibodies, followed by mass spectrometric determination of modification sites and parent protein identification." The company's release also states that the patented technology is commercialized under the trademarks PhosphoScan®, which enables the discovery of cell and tissue phospho-profiles, and AcetylScan®, for acetylation profiling. (c) isolating said target population of naturally-occurring post-translationally modified peptides specifically bound by said immobilized modification-specific antibody in step (b). According to Cell Signaling Technology's statement, the patented technology was first described in Rush et al., 2005, Nat. 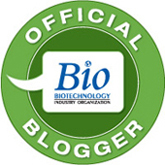 Biotechnol. 23:94-101, and is the subject of collaborative projects with AstraZeneca, Bristol-Myers Squibb & Co., Novartis, and Dr. Brian Druker of Oregon Health Sciences University. Cell Signaling Technology also announced on Wednesday that it had formed an alliance with Merck in which Cell Signaling Technology would provide its patented PhosphoScan® technology for use in Merck's oncology therapeutic research programs. The folks at FedCirc.us have announced that a new search feature was implemented at the FedCirc.us site this morning. The new search feature gives readers access to FedCirc.us' own Federal Circuit case summaries as well as to commentary and summaries from leading online commentators. We are flattered that FedCirc.us has decided to add the Patent Docs authors to its list of leading commentators. In a case testing the interplay between terminal disclaimers and patent term extensions under the Hatch-Waxman Act, the Federal Circuit, in affirming the judgment of the district court, held that patent term extensions could - nay should - be applied to terminally disclaimed patents, leaving Merck's Hatch-Waxman extension for its patent covering Trusopt® intact. Trusopt® was approved by the FDA for the treatment of ocular hypertension (glaucoma), with U.S. Patent No. 4,797,413 listed in the orange book as covering this brand name drug. During prosecution of the application leading to the '413 patent, Merck overcame an obviousness-type double patenting rejection over U.S. Patent No. 4,677,115 by filing a terminal disclaimer disavowing any term of the '413 patent extending beyond the expiration of the '115 patent (December 12, 2004). Merck applied for, and received, a patent term extension of 1233 days pursuant to 35 U.S.C. § 156 (§ 201 of the Hatch-Waxman Act), moving the expiration date of the '413 patent to April 28, 2008. In seeking approval to market a generic version of Trusopt®, Hi-Tech filed two ANDAs with the FDA, including a Paragraph IV certification of non-infringement. In response, on January 18, 2006, Merck filed suit against Hi-Tech for infringement of the '413 patent. Hi-Tech moved to dismiss pursuant to Fed. R. Civ. P. 12(b)(6), asserting that while its products fell within the claims of the '413 patent, the '413 patent had expired as on December 12, 2004 as the terminal disclaimer rendered the patent term extension inapplicable and improperly granted. Merck moved for judgment on the pleadings, contending that the patent term extension was properly granted. The district court entered final judgment in favor of Merck, denying Hi-Tech's motion and granting Merck's, and enjoined Hi-Tech from marketing its generic drug prior to April 28, 2008. Hi-Tech appealed, the single issue on appeal surrounding the interplay of the Hatch-Waxman patent term extension provision, 35 U.S.C. 156, and terminal disclaimers. Pursuant to 35 U.S.C. 156, "the term of a patent...shall be extended" provided that five criteria are met. Hi-Tech did not assert that the '413 patent failed to meet these criteria but rather argued that: 1) the grant of additional patent term to a terminally disclaimed patent ran contrary to the purpose behind the use of terminal disclaimers and effectively uncoupled the terminal disclaimer from the expiration date of the prior disclaimed patent; 2) a holding that patent term extensions applied to terminally disclaimed patents conflicted with prior case law; and 3) 37 C.F.R. § 1.775, which endorses extensions of terminally disclaimed patents, was, according to Hi-Tech, invalid. Merck argued that the language of § 156 unambiguously states that a patent term "shall be extended" provided the enumerated criteria are met, and moreover that patent term extensions under § 156 and terminal disclaimers are not mutually exclusive as they serve unrelated and independent purposes. Turning first to the language of § 156, the Federal Circuit held that the use of the word "shall," as with other statutes, mandated action, in this case grant of a patent term provided the necessary criteria are met. The legislative history of the Hatch-Waxman Act, noted the court, was consistent with it's statutory construction. The Court further noted that while 35 U.S.C. § 154 (which authorizes a patent term adjustment due to PTO delays) specifically renounces its applicability to terminally disclaimed patents, § 156 contains no such provision. The court concluded that taken as a whole, these points supported the applicability of patent term extensions to terminally disclaimed patents. To Hi-Tech's argument that the court's holding uncoupled the terminal disclaimer from the expiration date of the prior disclaimed patent, the Court noted that the Hatch-Waxman extension was calculated from the expiration date of the patent as provided by the terminal disclaimer and thus, the waiver of term through the terminal disclaimer remained in force. The Court noted that the goal of the terminal disclaimer - to disclaim any portion of the patent considered obvious over the prior patent - was still achieved, as was the goal of the Hatch-Waxman extension in restoring patent term due to regulatory review. To Hi-Tech's remaining arguments, the Court found the case law raised by Hi-Tech to be inapplicable, and 37 C.F.R. § 1.775 to be valid. 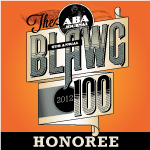 Additional information regarding this case can be found at the Orange Book Blog and Patently-O. MedImmune and sanofi pasteur announced today that they have entered into a licensing agreement concerning certain of MedImmune's intellectual property relating to virus generation. Specifically, sanofi pasteur has licensed MedImmune's "reverse genetics" technology which provides the ability to make viruses from DNA segments. Sanofi pasteur intends to use the reverse genetics technology to develop and produce new human seasonal, pre-pandemic, and pandemic influenza vaccines. The technology provides added safety for manufacturers as it allows them to avoid direct contact with infectious viral strains by using only fragments of the particular viral genome. Under the agreement, sanofi pasteur will make an initial payment to MedImmune, and MedImmune may also receive royalty payments based on sales of vaccine stocks and other products developed using the reverse genetics technology. In a March 29, 2007 press release Baxter International, Inc. announced that it will begin a Phase III clinical trial for an adjuvant-free vaccine against the H5N1 strain of influenza. The Phase III trial will be conducted in Europe in the first half of 2007, with results expected by the end of the year. Baxter is initiating this Phase III clinical trial in order to confirm the positive results from the Phase I and II trials. According to the press release the Phase I/II data indicates that the H5N1 candidate vaccine is highly immunogenic at low doses and provides cross immunity to divergent H5N1 strains. According to Baxter, this vaccine is the first cell-based H5N1 pandemic vaccine to enter the clinic. The candidate vaccine is derived from the H5N1 strain A/Vietnam/1203/2004 and induces both cell- and antibody-mediated immune responses without the presence of an adjuvant. Baxter is producing the vaccine using its proprietary vero cell technology, which allows for faster production because it avoids production in eggs. More information about the vero cell manufacturing process, Phase III design, pre-pandemic efforts, and the Phase I/II results can be found at the above link. Indonesia Names Its Terms for Providing Bird Flu Samples to W.H.O. Indonesia fulfilled its earlier promise (see "Bird Flu Flying to WHO Again") to provide the World Health Organization (W.H.O.) with samples of H5N1 strains of influenza virus (otherwise known as "bird flu"), according to The New York Times (see "Indonesia to Send Bird Flu Samples, With Restrictions"). However, the agreement was not unrestrained: Indonesia placed strict limits on permitted uses for these samples. This stance is consistent with Indonesia's earlier-expressed concerns that the samples would be used by Western pharmaceutical companies to make a vaccine Indonesians (and other Third World peoples) would be unable to afford. 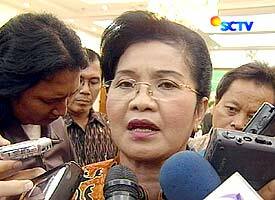 Specifically, the Indonesian Health Minister, Siti Fadilah Supari, announced that the government agreed to resume sending bird flu samples to the W.H.O. only under the condition that the samples not be shared with pharmaceutical companies or other commercial vaccine makers. The deal was the result of a summit meeting between W.H.O. officials and representatives of eighteen Third World countries, including Indonesia, held in Jakarta this week. The source countries received no assurances that bird flu vaccine would be available to them on affordable terms in the event of a bird flu epidemic, but W.H.O. agreed not to pass on bird flu samples received from any source country without conferring with the health minister of the country providing the sample. The exact contours of how these limitations will be implemented have not been fully worked out, but Indonesia's intent, to avoid the appearance or actuality of being exploited by the West, is clear. "We will trust W.H.O. will not violate our trust, because this is related to the W.H.O. 's credibility," Dr. Supari said. For its part, the W.H.O. is trying to avoid being placed in the middle between its most fertile source of bird flu isolates and the companies that will be responsible for producing a vaccine that may forestall a pandemic. Dr. David L. Heymann, the assistant director general for communicable diseases representing the W.H.O. at the meetings with Indonesian government officials, stated that the agency "is not involved in financial negotiations, either in selling viruses or buying vaccine." It seems clear that physical transfer of the virus strains, without an agreement on local access in Indonesia to a bird flu vaccine, would run afoul of Indonesia's restrictions. What is less clear is to what extent the information resulting from W.H.O studies of these isolates would be embargoed. It is unlikely that the W.H.O. could agree to any significant restrictions on scientific information, but in view of what is known (or able to be known) about influenza, the information may be sufficient on its own for a drug company's vaccine development needs. Indonesia's position on such information transfer is unclear, but it is unlikely to be satisfied by an arrangement that circumvents its restrictions without any quid pro quo access to a bird flu vaccine for its people. Those negotiations will be on-going so long as the threat of a bird flu pandemic exists. Sanofi-Aventis and Oxford BioMedica have announced an agreement under which the two companies will jointly develop and market TroVax® for treating and preventing cancer. TroVax® is a gene-based therapeutic cancer vaccine, and is currently in Phase III clinical trials as a treatment for renal cancer. Under the terms of the agreement, Sanofi will pay Oxford BioMedica an upfront fee of $39 million, with additional $25 million payments as targets are hit. The potential payout for Oxford BioMedica is $690 million. To even the most casual observer of the Federal Circuit, the Supreme Court's interest in the Court's jurisprudence is startling. After fifteen years of giving scant attention to the Federal Circuit's development of patent law, the Supreme Court has spent the last decade overturning what was thought to be settled law. Warner-Jenkinson Co. v. Hilton Davis Chem. 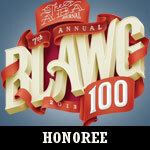 Co., Festo Corp. v. Shoketsu Kinzoku Kogyo Kabushiki Co., Dickinson v. Zurko, eBay Inc. v. MercExchange, LLC, Merck KGAA v. Integra Lifesciences I, Ltd., Medimmune, Inc. v. Genentech, Inc. - the list includes several major, and different, areas of patent law, the Federal Circuit's supposed area of special expertise. By consistently reversing the Federal Circuit, the Supreme Court has reasserted its preeminence in patent law as it has in all other areas. The case having the most significant impact on patent law generally, and that threatens to significantly diminish the Federal Circuit's institutional integrity, is KSR Int'l Co. v. Teleflex, Inc., where the Supreme Court will rule on one of the crown jewels of the Federal Circuit's explication of patent law, the teaching-suggestion-motivation (TSM) test of In re Vaeck. This test has provided the analytical framework for determining non-obviousness, both before the Patent and Trademark Office and in district court litigation. Its main advantage is to bridge the gap in applying the rubrics enunciated by the Supreme Court in Graham v. John Deere Co. on obviousness, something that the Supreme Court had occasion to do only fitfully in the time between Graham and the institution of the Federal Circuit. With the shadow of the KSR case looking over its shoulders, the Federal Circuit has spent the past year or so addressing not only the litigants, the Patent Office, and the patent bar, but, at every opportunity, the Supreme Court itself regarding the TSM test for non-obviousness. The fundamental rationale for the test, according to the Federal Circuit, has been to avoid the "insidious" effects of hindsight, and the inability of the general Graham test to avoid these effects, as the Court noted in In re Kahn (Fed. Cir. 2006) (affirming a Patent Office obviousness determination). Notably, the Kahn Court spent a significant portion of its opinion explaining how the TSM test "informs" (and, accordingly, is subservient to) the Graham rubrics. The Court has addressed most consistently the motivation prong of the TSM test, notably in Ormco Corp. v. Align Tech., Inc. (Fed. Cir. 2006) and Alza Corp. v. Mylan Labs., Inc. (Fed. Cir. 2006). In Alza, the Court noted the provenance of the test in CCPA jurisprudence. The Court was careful to address sub silentio the criticism that it applied the TSM test rigidly, pointing out that its application of the test encompassed implicit as well as explicit motivation to combine prior art references. The Court explicitly stated that its application of the TSM test was not rigid in DyStar Textilfarben GmbH v. C.H. Patrick Co. (Fed. Cir. 2006), and suggested that the criticisms of their earlier decisions were "taken out of context." And in Cross Med. Prod., Inc. v. Medtronic Sofamor Danek, Inc. (Fed. Cir. 2007), the Court asserted that the motivation to combine was not only to be found (or looked for) in the prior art, but in the knowledge of those with skill in the art and their recognition of the problem to be solved (adduced, one supposes, by expert testimony). The Court also increased its reliance on secondary considerations when possible, for example, in Eli Lilly and Co. v. Zenith Goldline Pharm., Inc. (Fed. Cir. 2006). more than merely to vary all parameters or try each of numerous possible choices until one possibly arrived at a successful result, where the prior art gave either no indication of which parameters were critical or no direction as to which of many possible choices is likely to be successful. type of experiments used by Pfizer's scientists to verify the physicochemical characteristics of each salt [that] are not equivalent to the trial and error procedures often employed to discover a new compound where the prior art gave no motivation or suggestion to make the new compound nor a reasonable expectation of success. Obviousness is a complicated subject requiring sophisticated analysis, and no single case lays out all facets of the legal test. [There is] danger inherent in focusing on isolated dicta rather than gleaning the law of a particular area from careful reading of the full text of a group of related precedents for all they say that is dispositive and for what they hold. When parties . . . do not engage in such careful, candid, and complete legal analysis, much confusion about the law arises and, through time, can be compounded. Some commentators have noted that the KSR challenge to the Federal Circuit's TSM test for obviousness was surprising and unexpected, and may have caught the Court off-guard over a matter of supposedly-settled law. Under this scenario, the Court in its more recent holdings is attempting, belatedly, to forestall the Supreme Court from overturning almost twenty years of accumulated precedent, by demonstrating that the petitioner's and amici's complaints about the Court's obviousness jurisprudence are overstated. This reaction is in stark contrast to another area of great controversy in the Court, the decision in Cybor Corp. v. FAS Tech., Inc. that claim construction is a matter for the Court's de novo review, with no deference given to any findings by the trial court (see "Amgen Asks Supreme Court to Reverse Cybor"). Despite a vocal minority of the Federal Circuit expressing doubts about the practical utility of the Cybor rule, and the widespread appreciation of the negative consequences that have developed in implementing the rule, the Court has refused to reconsider Cybor en banc. Just last week, Amgen petitioned the Supreme Court to review the Federal Circuit's claim construction in Amgen Inc. v. Hoechst Marion Roussel, Inc., and its petition directly challenged the Cybor rule. It remains to be seen whether the Federal Circuit will take the opportunity to get its own house in order on this issue before the Supreme Court decides whether to grant certiorari and take the matter out of the Federal Circuit's hands. GTCbio will host a conference entitled "Litigation and Enforcement in the Biotech and Pharmaceutical Industry" on April 19-20, 2007 in San Francisco, CA. The conference is designed to address a wide variety of legal issues faced by biotech and pharmaceutical companies, including, among others, issues surrounding regulatory approval, advertising concerns, product liability, and intellectual property. Speakers include both attorneys and corporate representatives. A detailed agenda for the conference can be found here and a list of speakers here. Information regarding registration can be found here. Group registration discounts are available. About Court Report: Each week we will report briefly on recently filed biotech and pharma cases, and a few interesting cases will be selected for periodic monitoring. Dey, L.P. et. al. v. Sepracor, Inc.
Declaratory judgment of infringement of U.S. Patent No. 6,667,344 ("Bronchodilating Compositions and Methods," issued December 23, 2003), directed to bronchodilator compositions and methods for administration as a nebulized aerosol, based on Sepracor's anticipated sale of BROVANA® (arformoterol tartrate) inhalation solution. View the complaint here. Tyco Healthcare Group LP et. al. v. Pharmaceutical Holdings Corp. et. al. Infringement of U.S. Patent Nos. 5,030,632 ("Low Dose Temazepam," issued July 9, 1991), 5,211,954 (same title, issued May 18, 1993), 5,326,758 (same title, issued July 5, 1994), and 5,629,310 (same title, issued May 13, 1997) following a paragraph IV certification as part of defendants' filing of an ANDA to manufacture a generic version of plaintiff's Restoril® (temazepam, used to treat transient insomnia). View the complaint here. Shire LLC v. Colony Pharmaceuticals, Inc. et. al. Infringement of U.S. Patent Nos. 6,322,819 ("Oral Pulsed Dose Drug Delivery System," issued November 27, 2001) and 6,605,300 (same title, issued August 12, 2003) following a paragraph IV certification as part of Colony's filing of an ANDA to manufacture a generic version of Shire's Adderall XR® (a combination of dextroamphetamine saccharate, amphetamine aspartate monohydrate, dextroamphetamine sulfate, and amphetamine sulfate, used to treat attention deficit hyperactivity disorder). View the complaint here. PDL Biopharma Inc. v. Alexion Pharmaceuticals Inc. Infringement of U.S. Patent Nos. 5,693,761 ("Polynucleotides Encoding Improved Humanized Immunoglobulins," issued December 2, 1997), 5,693,762 ("Humanized Immunoglobulins," issued December 2, 1997), and 6,180,370 ("Humanized Immunoglobulins and methods of making the same," issued January 30, 2001) based on Alexion's manufacture, use, sale, and offer for sale of Soliris® (eculizumab, used to treat paroxysmal nocturnal hemoglobinuria (PNH)). View the complaint here. Infringement of U.S. Patent Nos. 4,870,086 ("Optically Pure Compound and a Process for Its Preparation," issued September 6, 1989), 5,670,524 ("Methods and Compositions for the Treatment of Pain Utilizing Ropivacaine," issued September 23, 1997), and 5,834,489 (same title, issued November 10, 1998) following a paragraph IV certification as part of Navinta's filing of an ANDA to manufacture a generic version of Abraxis' Naropin® Injection (ropivacaine hydrochloride, used for the production of local or regional anesthesia for surgery and for acute pain management). View the complaint here. Otsuka Pharmaceutical Co., Ltd. v. Barr Laboratories Inc. et. al. Otsuka Pharmaceutical Co., Ltd. v. Teva Pharmaceuticals USA Inc. et. al. The complaints in these two cases are quite comparable. Infringement of U.S. Patent No. 5,006,528 ("Carbostyril Derivatives," issued April 9, 1991) following a paragraph IV certification as part of Teva's and Barr's filing of an ANDA to manufacture a generic version of Otsuka's Abilify® (aripiprazole, used to treat bipolar disorder and schizophrenia). View the Teva Pharmaceuticals complaint here. Pfizer Inc. et. al. v. Ranbaxy Laboratories Ltd. et. al. Infringement of U.S. Patent Nos. 4,681,893 ("Trans-6-[2-(3- or 4-carboxamido-substituted pyrrol-1-yl)alkyl]-4-hydroxypyran-2-one Inhibitors of Cholesterol Synthesis," issued July 21, 1987) and 6,455,574 ("Therapeutic Combination," issued September 24, 2002) following Ranbaxy's filing of an ANDA to manufacture a generic version of Pfizer's Caduet® (atorvastatin calcium - the active ingredient in Lipitor® - and amlodipine besylate - the active ingredient in Norvasc® - used to treat high cholesterol in combination with treating hypertension, angina, and/or coronary artery disease). View the complaint here. 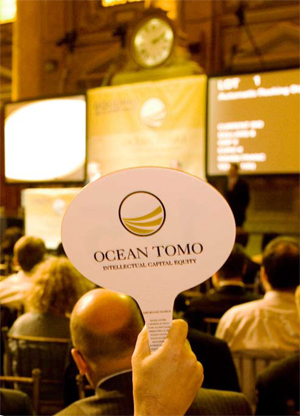 Ocean Tomo® will hold its first live intellectual property auction of 2007 in Chicago on April 18-19. It's first two auction events, held in April and October 2006, resulted in $8.5 million and $23 million of transactions, respectively. The auction is held much the same as a traditional English-style auction, including a live auctioneer who will take bids in person, by phone, by proxy, and by absentee instruction. In order to account for issues particular to intellectual property (i.e., prolonged due diligence), Ocean Tomo® maintains a secure on-line catalog and "data room" that has a list of intellectual properties for sale. The property owners will post information about their items up for bid in the data room, such as government office correspondence, license agreements, and background information on any prior enforcement or litigation. The prospective buyers can maintain anonymity through blind or double blind bidding. Further protection is provided by a required written covenant by every seller and buyer that states the actions taken during the auction will not be used as evidence in any future enforcement activities. More information about the Ocean Tomo® Live Intellectual Property Auctions can be found here. My only advice: if you recognize anyone during the auction, don't wave at them! In an appeal from a District Court judgment of validity, enforceability, and infringement, the Federal Circuit reversed the District Court's finding of validity, holding that U.S. Patent No. 4,879,303 (the '303 patent) was rendered obvious by, inter alia, U.S. Patent No. 4,572,909 (the '909 patent) and Berge, 1977, "Pharmaceutical Salts," J. Pharm. Sci., 66:1-19 (Berge). dihydropyridine, which is a commonly referred to as amlodipine, and which is a member of a class of compounds known as dihyrdopyridines. Like many active drugs, amlodipine is made into a pharmaceutically-acceptable acid addition salt (i.e., amlodipine besylate) to improve its bioavailability. 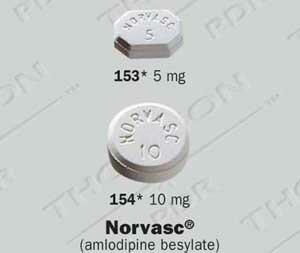 Amlodipine besylate is an acid addition salt of amlodipine formed by reacting amlodipine with benzene sulphonic acid. More than twenty-five years ago, Pfizer discovered the active ingredient in Norvasc® and identified that compound's anti-hypertensive and anti-ischemic pharmacological properties. In February of 1986, Pfizer was awarded the '909 patent, which claims certain dihydropyridine compounds and their pharmaceutically-acceptable acid addition salts. The '909 patent discloses ten pharmaceutically-acceptable acid addition salts of amlodipine, and describes the preferred salt as being maleate. Shortly after the U.K. counterpart to the '909 patent issued in March of 1982, Pfizer began the process of formulating a commercial drug product from amlodipine maleate. Pfizer scientists, however, encountered two problems with the amlodipine maleate formulation: its chemical instability and stickiness in tablet form. To solve these problems, Pfizer scientists tested seven other acid addition salts of amlodipine, settling on amlodipine besylate. In March of 1987, Pfizer filed a U.S. patent application claiming amlodipine besylate. During prosecution of this application, the examiner initially rejected the claims as obvious over the '909 patent in view of U.S. Patent Nos. 3,816,612 (the '612 patent) and 4,032,637 (the '637 patent). The examiner observed that the '612 patent discloses that besylate acid salts are superior to maleate acid salts, and that the '637 patent discloses a pharmaceutical composition in which the besylate form is the preferred embodiment. The examiner subsequently cited Berge as disclosing 53 FDA-approved anions for making pharmaceutically-acceptable salts, including the anion - benzene sulphonate - used to make amlodipine besylate. To overcome the obviousness rejection, Pfizer filed a Rule 1.132 Declaration from one of its scientists stating that "each salt imparts unique properties to the parent compound," and therefore, "the besylate salt of amlodipine is a unique compound and not an obvious one." The examiner allowed the application, which issued as the '303 patent in November of 1989. Seeking approval to market generic amlodipine besylate tablets, Defendant-Appellant Apotex, Inc. filed an Abbreviated New Drug Application (ANDA) with the FDA. In response, Pfizer filed suit against Apotex, alleging that the filing of the ANDA infringed claims 1-3 of the '303 patent. Apotex counterclaimed for declaratory judgments that the '303 patent was invalid for anticipation and obviousness and unenforceable due to inequitable conduct. Following a bench trial, the District Court determined that Apotex failed to meet its burden of proving invalidity or inequitable conduct by clear and convincing evidence. With respect to its finding of nonobviousness, the District Court concluded that Berge did not direct the skilled artisan to make amlodipine besylate because Berge discloses that benzene sulphonate is used for making pharmaceutically-acceptable salts only 0.25% of the time. The District Court also concluded that "[t]here is no reliable way of predicting the influence of a particular salt species on the behavior of a parent compound." Finally, the District Court determined that amlodipine besylate "clearly and unexpectedly illustrates a superior combination of properties when compared to the preferred preparation [i.e., amlodipine maleate, the preferred embodiment of the '909 patent]." Apotex appealed the District Court's determinations of validity and no inequitable conduct. On the issue of obviousness, the Federal Circuit determined that the "evidence of record easily satisfies us that a reasonable fact-finder could only conclude that Apotex has shown by clear and convincing evidence that the skilled artisan would indeed have been so motivated to combine the prior art to produce the besylate salt of amlodipine." The Court also concluded that "[t]he record also satisfies us that . . . a reasonable fact-finder could only conclude that the skilled artisan would have had a reasonable expectation of success with the besylate salt form of amlodipine." With respect to the motivation to combine the prior art, Pfizer contended that (1) the '909 patent did not suggest the besylate salt of amlodipine, (2) Berge shows that the besylate salt was rarely used in the pharmaceutical industry, and (3) the besylate salts disclosed in other prior art references (such as the '612 and '637 patents) were unrelated to amlodipine. The Federal Circuit rejected Pfizer's first argument, noting that "a suggestion, teaching, or motivation to combine the relevant prior art . . . does not have to be found explicitly in the prior art references sought to be combined, but rather 'may be found in any number of sources, including common knowledge, the prior art as a whole, or the nature of the problem itself.'" The Court also rejected Pfizer's second argument, observing that of the 53 anions disclosed by Berge, 40 were used in less than 1% of drugs, and 23 were used in 0.25% or less of drugs. Finally, the Court rejected Pfizer's third argument, finding that "the besylate acid addition salt form was described in these prior art references as useful in promoting stability and solubility, as well as improving other physicochemical characteristics," and therefore, the fact that none of these references discloses a medication for treating hypertension or angina was "unimportant, if not actually irrelevant." After addressing the motivation to combine prong, the Federal Circuit next examined the District Court's determination that a skilled artisan would not have had a reasonable expectation of success in making amlodipine besylate. In finding that the District Court had erred in reaching this determination, the Federal Circuit noted that "the '909 patent contained a strong suggestion that any and all pharmaceutically-acceptable anions would form non-toxic acid addition salts and would work for their intended purpose - that is, to improve bioavailability of the active ingredient amlodipine and to improve handling and storage of amlodipine." In addition, the Court noted that Pfizer's supplemental FDA filing also indicates that the besylate salt of amlodipine would work for its intended purpose, the FDA filing stating that "the change in salt form [from maleate to besylate] is justified since benzenesulfonate is a commercially acceptable salt, as exemplified by the tranquilizer mesoridazine (Serentil)." Determining that a reasonable fact-finder could find evidence of both a motivation to combine the prior art and a reasonable expectation of success in making amlodipine besylate, the Federal Circuit next addressed Pfizer's assertion that amlodipine besylate would be, at the most, "obvious to try." In response to Pfizer's argument, the Court stated that "the prior art provided not only the means of creating acid addition salts but also predicted the results, which Pfizer merely had to verify through routine testing," and therefore, that Pfizer's experimentation with amlodipine besylate was "not equivalent to the trial and error procedures often employed to discover a new compound where the prior art gave no motivation or suggestion to make the new compound nor a reasonable expectation of success." The Court then analogized Pfizer's work to the optimization of a range or other variable, "hold[ing] that the optimization of the acid addition salt formulation for an active pharmaceutical ingredient would have been obvious where as here the acid addition salt formulation has no effect on the therapeutic effectiveness of the active ingredient and the prior art heavily suggests the particular anion used to form the salt." The Federal Circuit concluded its analysis by examining the District Court's findings with respect to secondary considerations of nonobviousness. In particular, the District Court determined, inter alia, that amlodipine besylate "clearly and unexpectedly illustrates a superior combination of properties when compared to the preferred preparation [i.e., amlodipine maleate]." The Federal Circuit, however, noted that "[a]nother defect in the district court's reasoning is its failure to recognize that by definition, any superior property must be unexpected to be considered as evidence of non-obviousness." While refusing to "simply presume that the skilled artisan would have expected that amlodipine besylate would have the same characteristics as amlodipine maleate," the Federal Circuit did determine that "Pfizer has simply failed to prove that the results are unexpected." 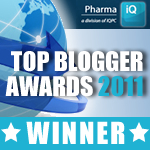 In summarizing its findings, the Court concluded: "[a]t most, then, Pfizer engaged in routine, verification testing to optimize selection of one of several known and clearly suggested pharmaceutically-acceptable salts to ease its commercial manufacturing and marketing of the tablet form of the therapeutic amlodipine." Since the Federal Circuit's en banc decision in Cybor Corp. v. FAS Technologies, Inc. that no aspect of a district court's claim construction was entitled to any deference, courts, commentators, and other critics have disagreed with the Federal Circuit. Today, Amgen has enlisted the aid of the Supreme Court to rein in what it termed a "power grab" by the Federal Circuit in its petition for certiorari in Amgen Inc. v. Hoechst Marion Roussel, Inc.
A pharmaceutical composition comprising a therapeutically effective amount of human erythropoietin and a pharmaceutically acceptable diluent, adjuvant, or carrier, wherein said erythropoietin is purified from mammalian cells grown in culture. The meaning of this term is important, because the validity of the claim rests upon whether the term requires that the claimed erythropoietin (EPO) be capable of treating or curing anemia. EPO is a naturally-occurring hormone that stimulates the body to produce red blood cells, and its absence (or insufficiency) causes anemia. The standard clinical measure of anemia is the hematocrit, or the percent of whole blood comprised of red blood cells. In construing the term "therapeutically-effective amount," the District Court had required that EPO falling within the scope of claim 1 increase hematocrit and have any other biological properties of naturally-occurring EPO. Prior art EPO formulations existed that did not have the capacity to increase hematocrit or cure anemia, and this distinction was the basis for the District Court's finding that said prior art did not anticipate Amgen's claim. The Federal Circuit disagreed. Under the Court's interpretation, the District Court had improperly focused on hematocrit, which is one of EPO's biological properties recited in the specification, to the exclusion of several others, including increasing stimulation of reticulocyte response, development of ferrokinetic effects, erythrocyte mass changes, and stimulation of hemoglobin. The CAFC noted in particular that the specification recited that the therapeutic properties of recombinant EPO "included" all of these, and that the specification further stated that recombinant EPO was therapeutically useful even if it lacked some but not all of these properties. For the second time, the Federal Circuit remanded to the District Court for further proceedings based on its more expansive construction of the term "therapeutically effective amount." In its petition, Amgen focused on the differences in understanding between the trial court judge (who Amgen asserted "had received tutorials from an M.I.T. scientist, listened to 32 days of testimony from 35 scientists, and read countless pages of written submissions") and the Federal Circuit. According to Amgen, the Federal Circuit's de novo review jurisprudence misappropriated judicial resources and usurped the trial court's duty of assessing the evidence firsthand. Amgen cleverly analogized to the Supreme Court's Daubert jurisprudence, where the Court has commented on its confidence in district court judges' ability to understand complex scientific and factual evidence. In the Daubert analysis, the Supreme Court has directed appellate courts to defer to such factual findings by the district courts, the outcome Amgen advocates here. Amgen also recites the now-familiar litany of negative consequences of the Federal Circuit's de novo review standard, including "(1) a steadily high reversal rate; (2) a lack of predictability about appellate outcomes, which may confound trial judges and discourage settlements; (3) loss of the comparative advantage often enjoyed by the district judges who heard or read all of the evidence . . .; and (4) inundation of our court with the minutia of . . . disputed claim terms . . . in nearly every patent case," citing Judge Michel's dissent from the Federal Circuit's denial of rehearing en banc. Finally, Amgen stresses that this issue is ripe for Supreme Court review in light of the disagreement between the Federal Circuit judges, reminding the Supreme Court that it used this rationale for granting certiorari in Warner-Jenkinson and Festo. 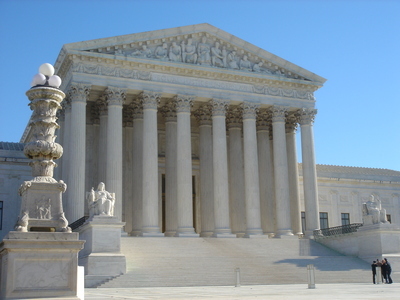 Amgen also asked the Supreme Court to review the Federal Circuit's determination that prosecution history estoppel prevented it from prevailing on another of its claims in suit. This claim recites recombinant EPO containing 166 amino acids, as determined from the predicted amino acid sequence encoded by the EPO cDNA. In fact, human EPO as it is found in nature contains only 165 amino acids, since the 166th amino acid is cleaved during the protein's maturation process. The District Court twice found that prosecution history estoppel did not prevent Amgen from asserting this claim against the defendants under the doctrine of equivalents, and twice the Federal Circuit disagreed. In its certiorari petition, Amgen contends that the manner in which the Federal Circuit is implementing the Supreme Court's edicts regarding the application of the prosecution history estoppel doctrine is tantamount to the Federal Circuit's own, draconian, and Supreme Court-repudiated "no equivalents" standard for any claim amended during prosecution. In Festo, the Supreme Court had explicitly rejected this approach, mandating that the Federal Circuit's analysis consider whether the amendment was unforeseeable, was tangential to patentability, or for some other reason should not raise an estoppel. Festo Corp. v. Shoketsu Kinzoku Kogyo Kabushiki Co., 535 U.S. 722, 740-41 (2002). 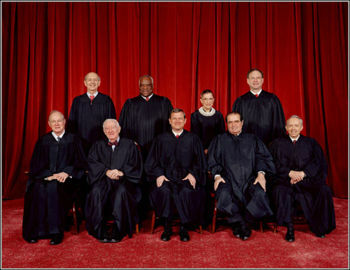 By including the prosecution history estoppel issue in its certiorati petition, Amgen has significantly increased its chances of having the petition granted, since the Supreme Court has been diligent in the past ten years in defending the doctrine of equivalents from a consistent effort by the Federal Circuit to minimize or eliminate application of the doctrine. Supreme Court review of the Federal Circuit's application in Cybor of the principles it set forth in Markman has been anticipated and welcomed by many. A significant minority of the Federal Circuit judges have, in dissent, indicated that the Court's application of the Cybor decision (i.e., that the Court owes the District Court no deference even for factual matters related to claim construction) did not work well in practice and was ripe for review. The Court might have lost its opportunity to address these issues itself, and inadvertently provided the Supreme Court with another opportunity to overturn Federal Circuit precedent, a pastime it has become accustomed to in the last few years.